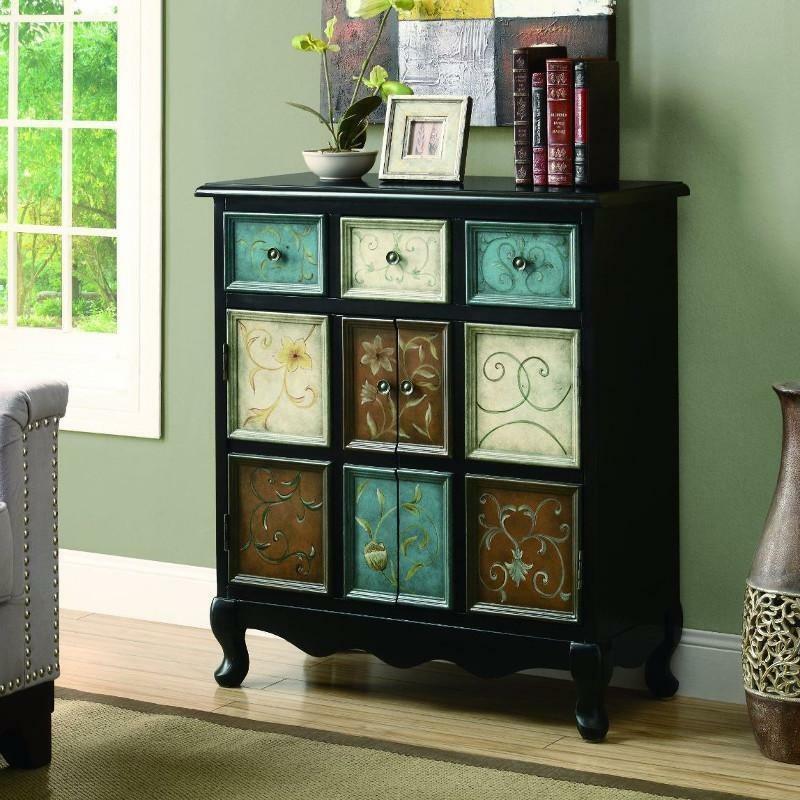 This Apothecary Bombay Chest from Monarch Specialties will spice up your home with its classic traditional hand painted accents. 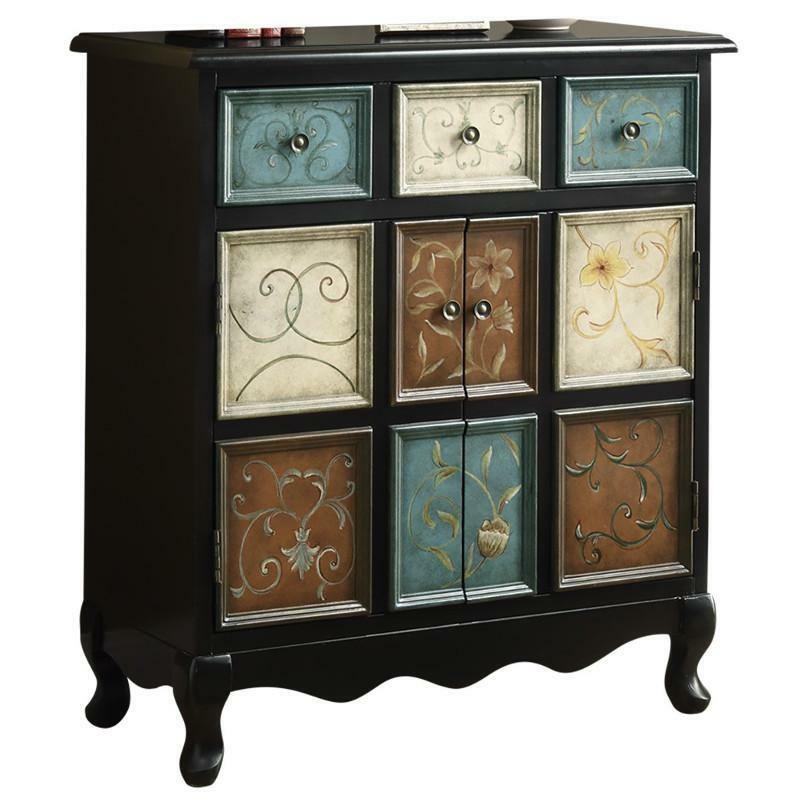 Warm hues create a tasteful touch of class with drawers and doors for ample storage. Perfect for small areas and narrow hallways.